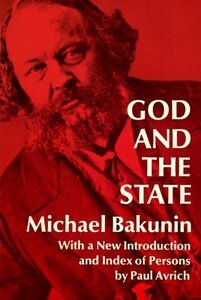 Bakunin's classic and highly influential atheist text setting out the anarchist critique of religion as bound up in legitimising the state. The text is from Michael Bakunin, God and the State, 1916, New York: Mother Earth Publishing Association. Attached are both the 1970 Dover Publications edition, with an introduction and index of persons by Paul Avrich, and the 1910 Freedom Press edition, the later having superior editing. If God is, man is a slave ; now, man can and must be free; then, God does not exist. I defy anyone whomsoever to avoid this circle ; now, therefore, let all choose.